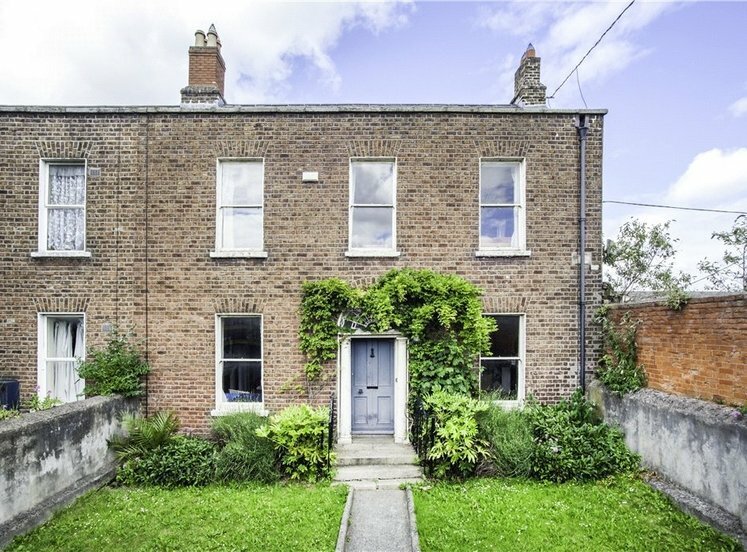 9 Phibsborough Avenue is a charming two storey end terrace period house located in a quiet enclave in the heart of Phibsborough village. 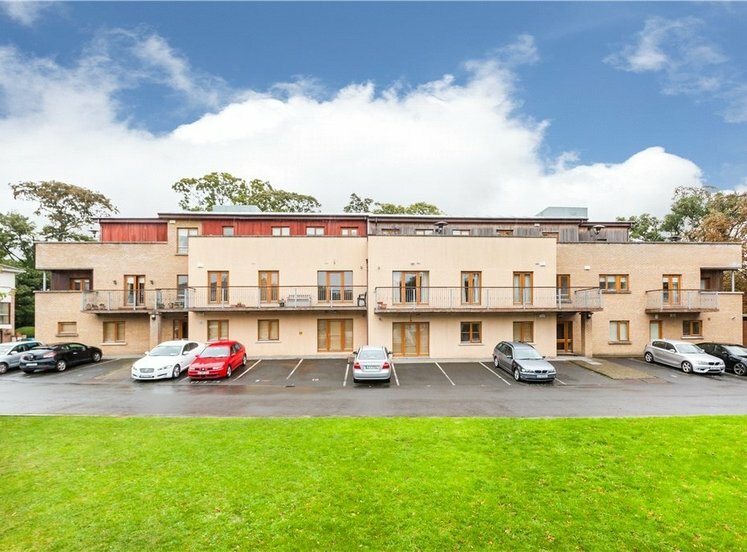 The location of this city pad could not be more convenient with all of the amenities that Dublin City has to offer virtually on your door step. 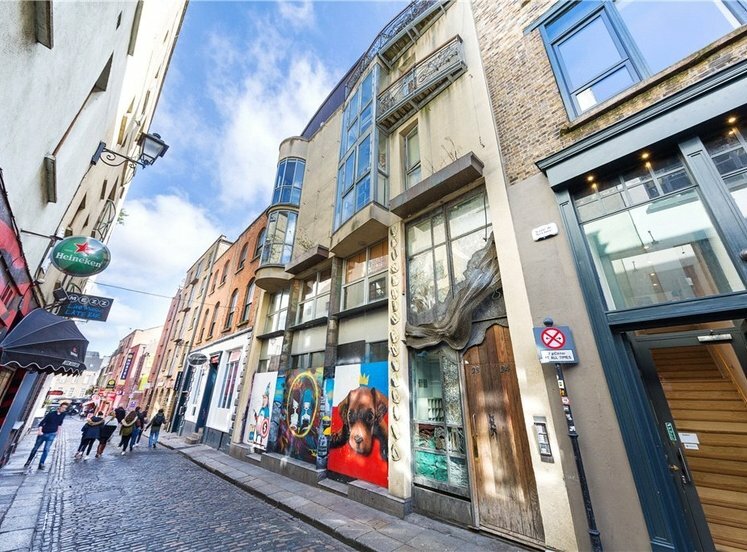 This historic property was Harry Boland’s childhood home and has much to offer a modern day buyer. 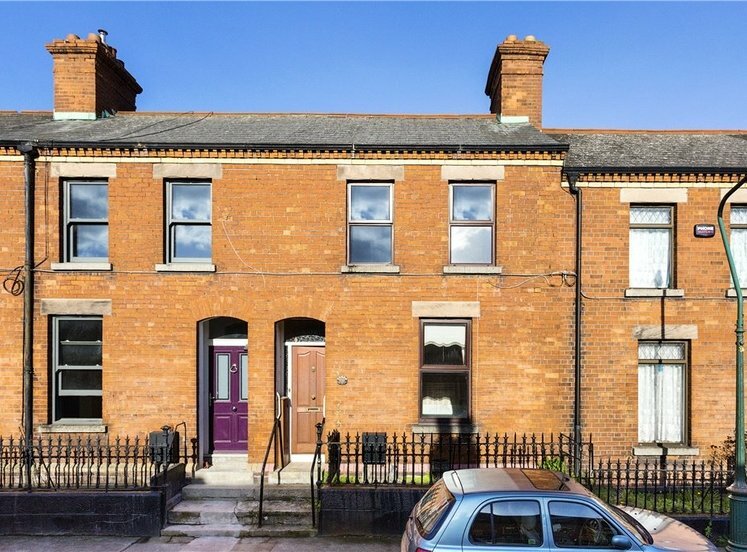 The property has a very attractive full brick finish with new double-glazed wooden sash windows to front giving this property undeniable curb appeal, an appeal that will be more than matched by the quality of the interior accommodation. 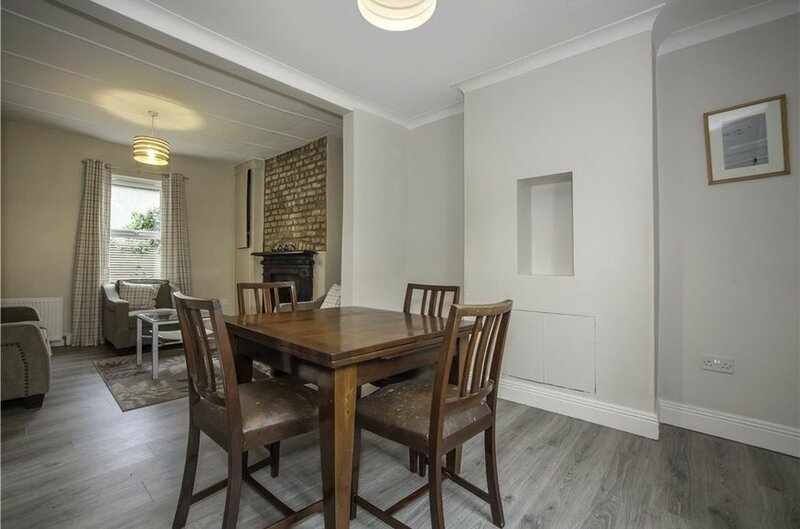 The bright and well-proportioned accommodation extends to 75 sqm (807sqft) and oozes character. 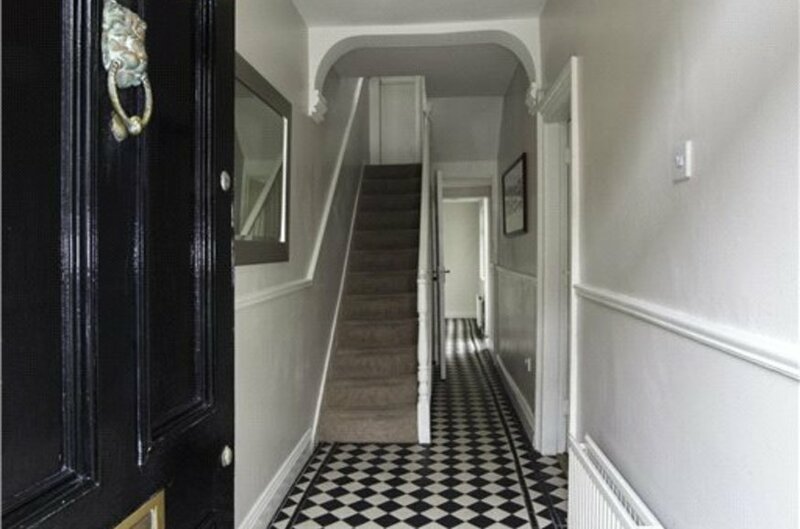 On entering the property one is greeted by a beautiful entrance hall, with a high ceiling and ornate floor tiles that gives access to two interconnecting reception rooms. 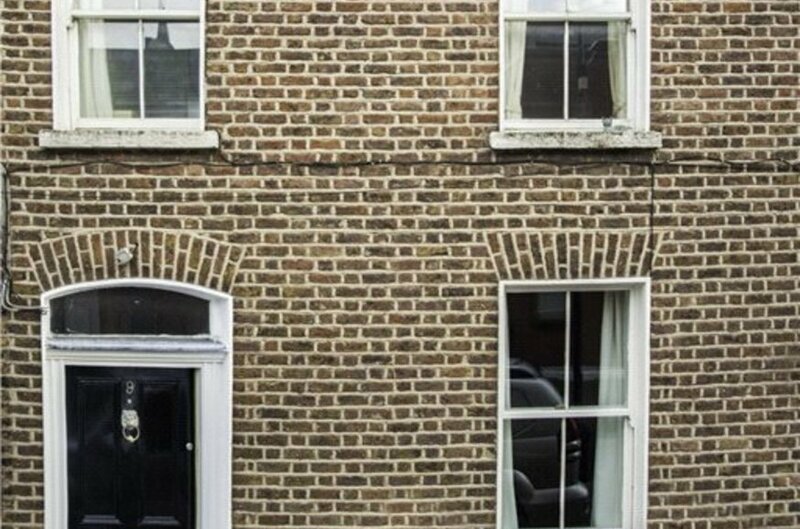 These rooms have oodles of natural light and the rear reception room has a feature fireplace with exposed brick detail above. 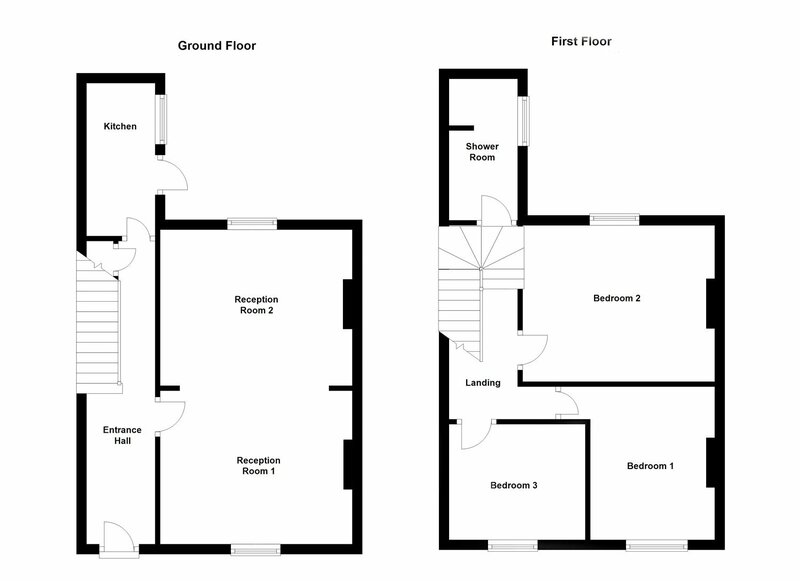 A galley style kitchen to the rear has ample storage and counter space, this in turn leads to the courtyard. 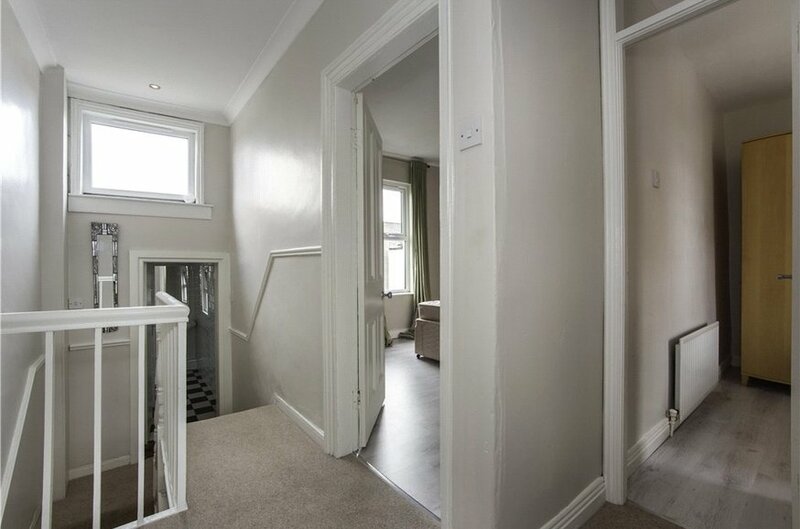 At first floor return level there is a stylish fully tiled bathroom while at first floor level there are three bedrooms. 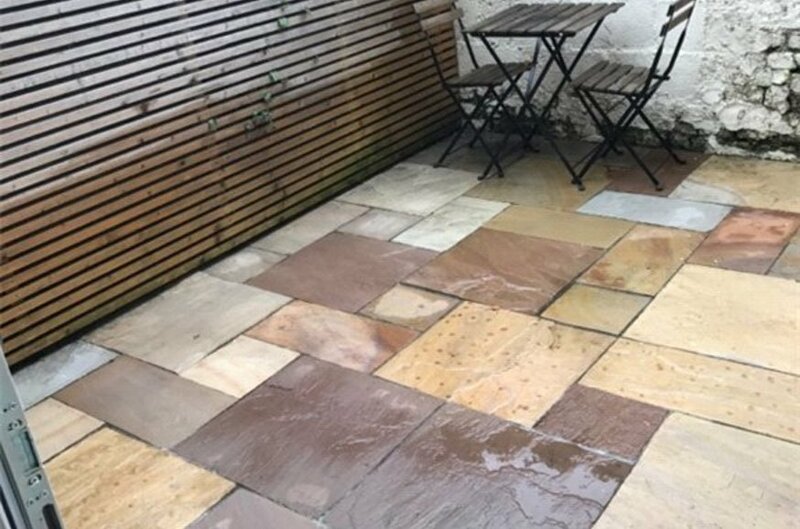 The courtyard provides invaluable outdoor space ideal for al fresco dining or a glass of wine. There is gas central heating. This is a good honest house in a most convenient location presented in turn key condition that will appeal to both owner occupiers and investors alike. 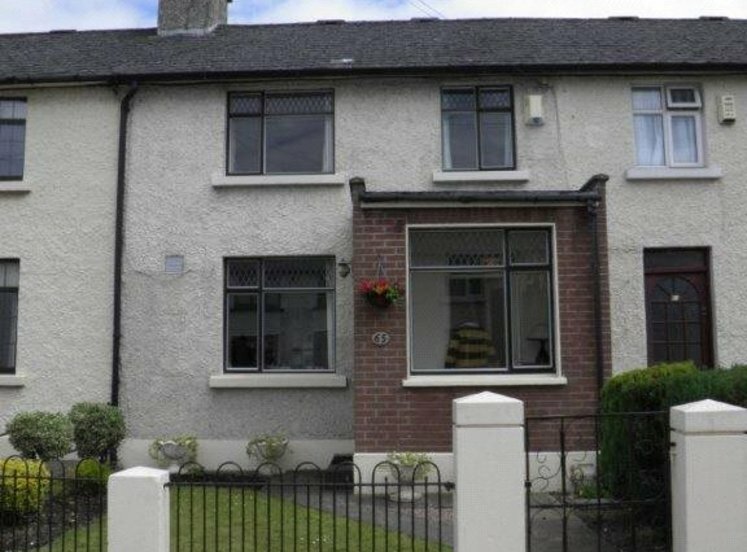 The property enjoys an excellent location in the heart of Phibsborough, within 10 minutes’ drive of Dublin’s City Centre. 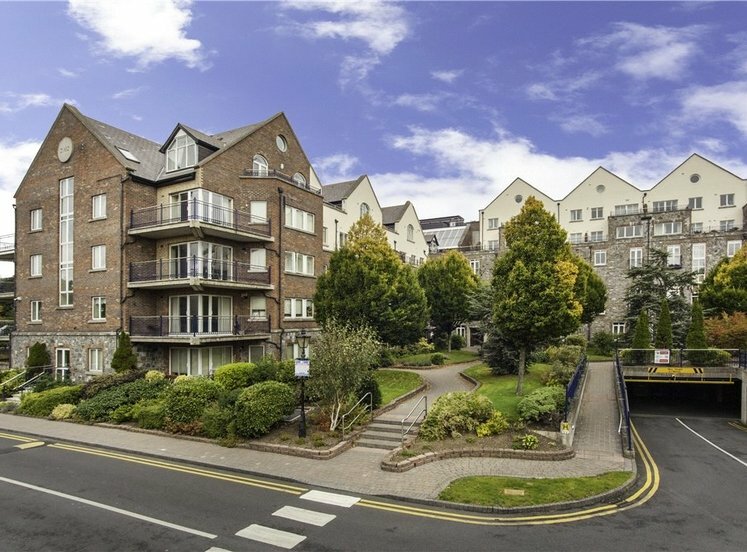 There are numerous shops, schools, recreational and sporting amenities within close proximity, including the beautiful Phoenix Park and Botanic Gardens. 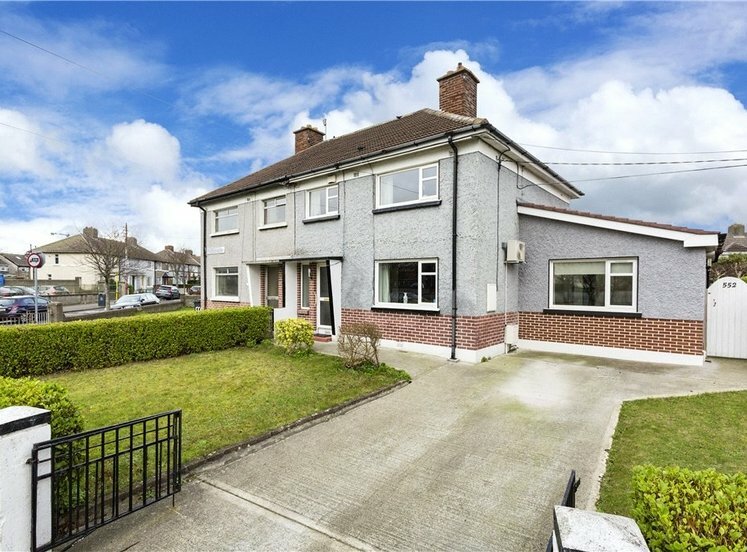 There are excellent transport links with numerous bus routes serving the area and the M50 and Dublin Airport within easy reach. The newly constructed DIT campus at Grangegorman is situated close to the property, as is the new Luas line. 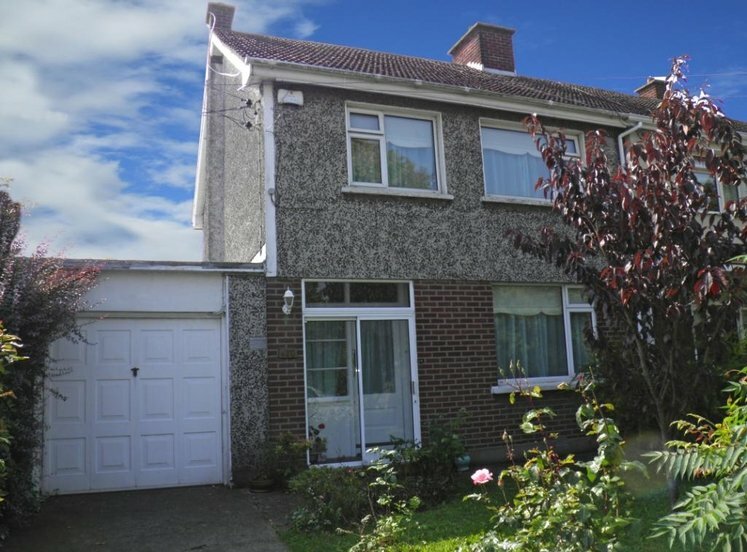 Viewing is strongly recommended of this character filled residence situated in a vibrant and highly desired location. 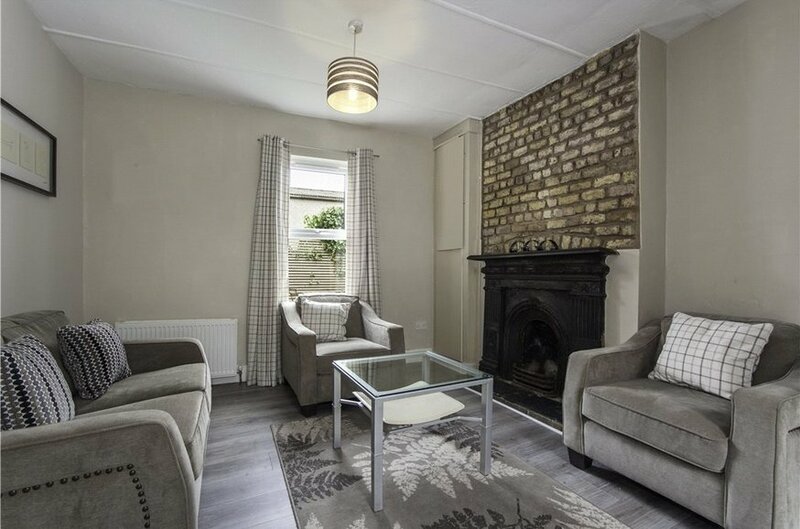 with feature fireplace and window overlooking the courtyard to rear. 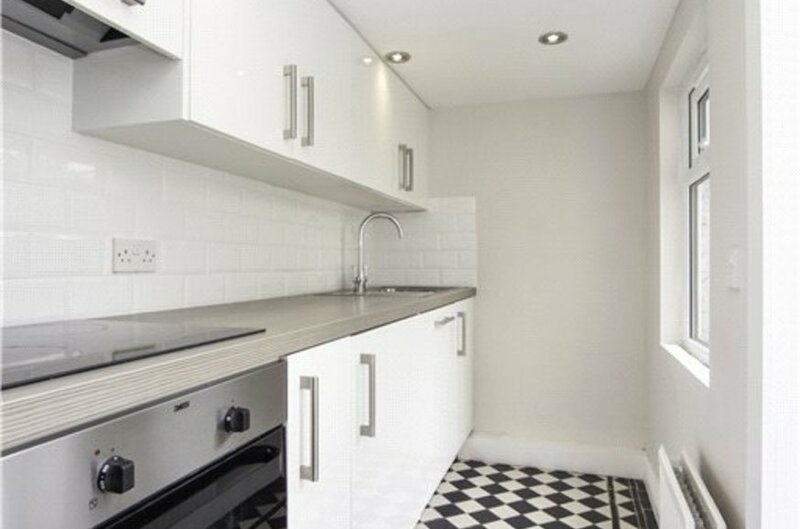 galley style kitchen with wall and floor mounted contemporary units, integrated oven, hob and dishwasher. 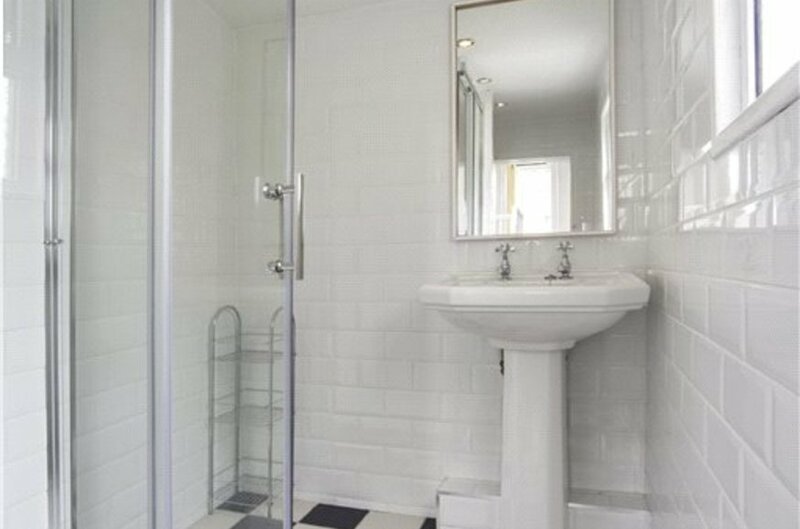 fully tiled bathroom with wc, whb and stand in shower unit with electric shower. Window to side. 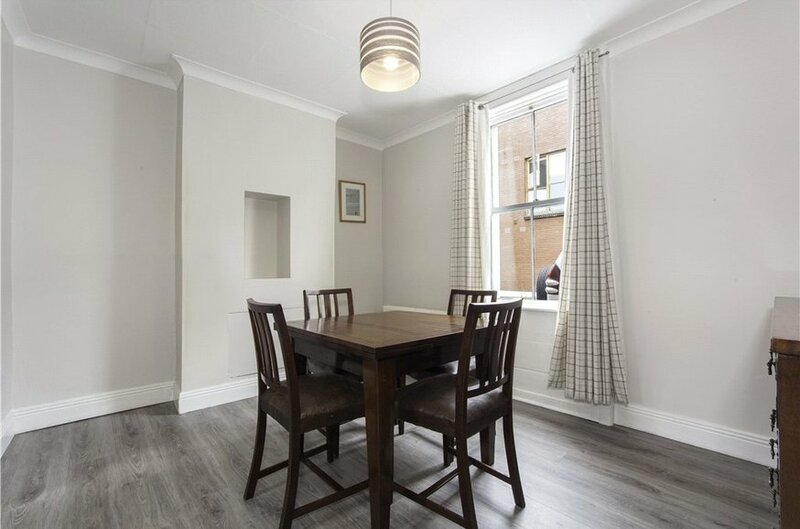 spacious double bedroom overlooking the rear courtyard. 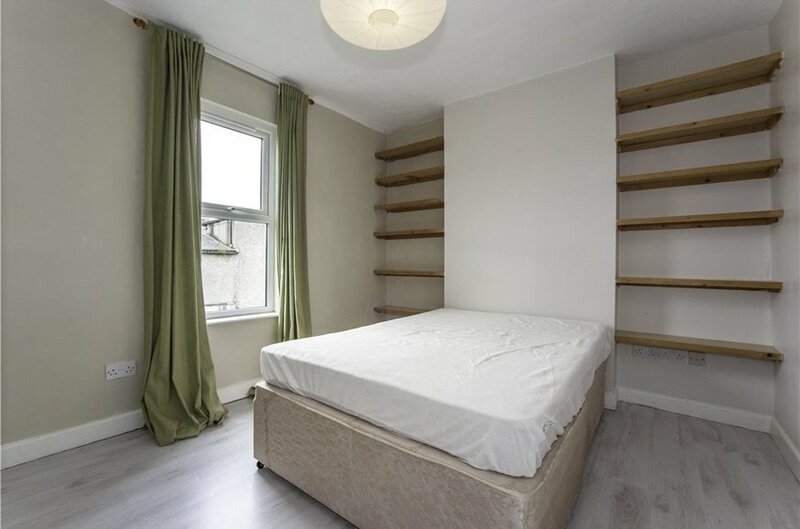 double bedroom overlooking the street to the front.